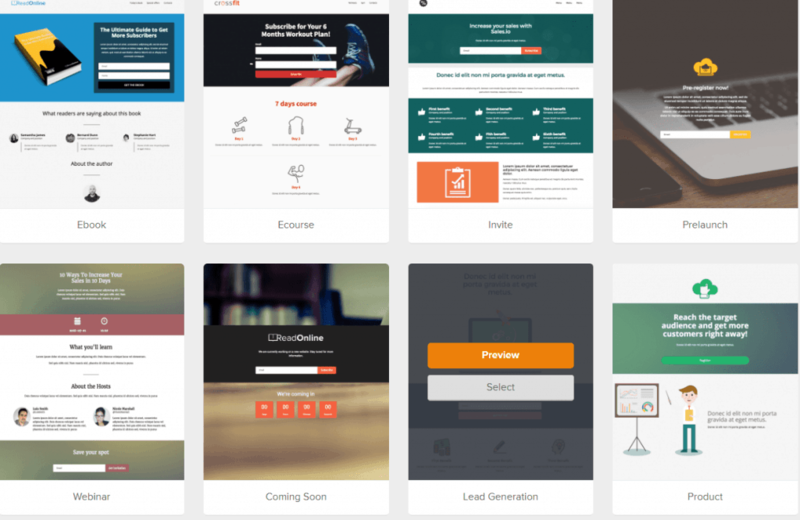 Have you been searching all over trying to find out how to create a resource library and landing page? You have come to the right place! I will show you step by step how to create your resource library and landing page and connect it right to your blog. I have seen this question asked over and over and from my own experience it is difficult to find any information on how to create a resource library. 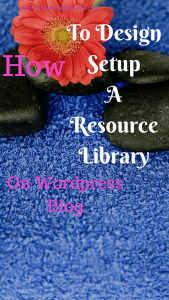 I had to painstakingly dig around all over the internet and piece together how to create a library on my wordpress site and create a landing page that was connected. What a headache and some what nightmare that turned out to be!!! Lucky for you I did all the heavy lifting and now I can share with you how to go about doing all of this without it taking weeks for you to figure it out. Here are the steps I took to get this done, now when I made this I am using Siteground for my hosting and Mailerlite for my landing page you can use something similar for yours and it will still be the same way or at least close to it. On the right you will see under publish 3 options: Status, Visibility and Publish. Go under Visibility and click edit then select password protected and add a password you will remember. Now that you have your page you will need to create content for it, whatever freebie you want to offer like printables, checklists, calendars, or planners. To create these I use Canva and go under templates but you can use whatever you want. Once these are created what I did was save them as a pdf and a png to my computer then download the pdf to google drive. Use a plugin to build your page or you will be frustrated trying to line things up properly, I use page builder by siteorigin it is free just download it and start by dragging what you want and drop it wherever you want it to be! Add your png to your page and connect them with a link to your pdf on google drive so all anyone has to do is click it and download. Once you make your library look pretty it’s time to do the harder stuff!! To create a landing page you need to go to your email provider and go to forms, most of them should have this available. Once you find a form called landing page click on it and go to create landing page. 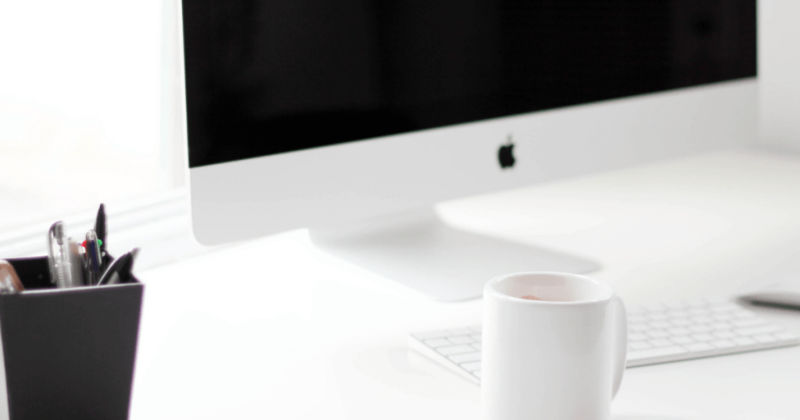 It will ask you to name it I would suggest picking something that you will know exactly what landing page it is as you probably will be making a few of these along your blogging journey or even wanting to switch it up and try something else. You can go in and change your landing page as well which I have done a few times because it just wasn’t converting well. Once you name it click save and continue and it will ask you which subscriber group you would like it to go to. I would suggest adding a new group that way you can keep track of how much it is converting!! Save and continue, this will take you to choosing a template. you are able to take things out if you don’t like the setup. I will show you what I mean as we go. Click select and it will take you to the template, here you can add your own blog logo or title once you do that you are able to delete the image in the middle and add your own screen shots of some of your freebies. 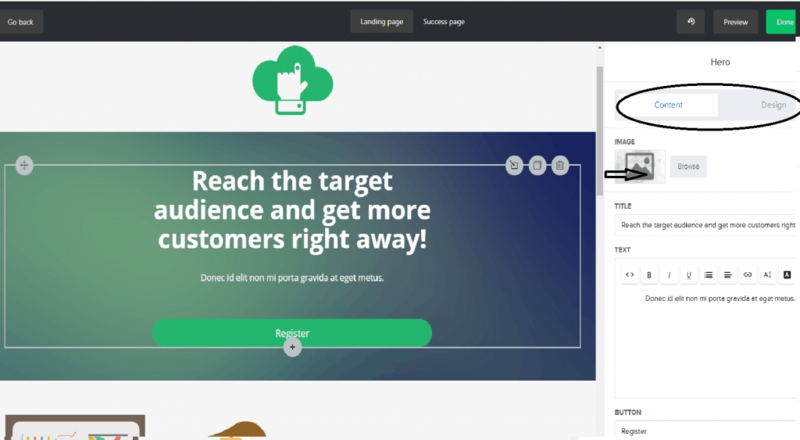 So click on the image in the middle block that says reach the target audience and on the right it should say Content and Design, click on the browse button below that. Once you have the image you want to use upload the image and click select here i have a blog logo and a freebie showing, I know it looks awful right now lol have to change the background. A good rule of thumb is to have more white and some color border for accent it looks cleaner and people are drawn to it more. You will want to use more then one freebie to show but for demonstration purposes I picked just one. Now to change the reach your target audience to a catchy phrase about your free resource library and what they will find in it. You can edit by clicking on that symbol the black arrow is pointing at. Make it fun and be yourself, don’t compare it to anyone else’s because it is all your style and that is what you want to show on your blog anyway so why not on your landing page?! If you don’t want to write anything here you can delete it all together as well, you don’t have to use anything on these templates if you don’t want to. To the right of the screen with the pink arrow, you see all of those items. These you can use to change how it all looks, play around with it a bit and get to know your email platform a bit better. Have fun with this, don’t be so stressed over it like I was haha! So in the picture it shows blocks and design click on design and it will show how to change the color in the background and the text even the subscribe button. Customize away, like I said play around with it have fun!!! Note: If you click on the section you are working on it will let you design that section, it gets confusing sometimes so I just wanted to let you in on this as it can be frustrating. Under Design click on hero and now you can change background image, so you can pick one you have on your computer or go to Pixabay like I do and download an awesome one for free yay!!! I was trying to see if it would let me leave it as white the only trick to do that is to download an image with a lot of white because when it adds the image you only see a small piece of it. To fix this you have to crop away until it fits which is a pain but well worth it for the look. Do be careful cropping it making it to small will cause the image to be shown twice! Once have all that done it will be kind of like this, needs more tweaking but you get the idea. You can add your social media icons and delete everything on the bottom unless you want to use it. Then we move onto the success page that you see at the top and what you want that to say. In the thank you section it is going to have your logo though you can change it and put something else if you want and a little spot for you to write to your subscribers. You can change the background color and everything to whatever you want. Don’t put your password in the thank you as people can just get it take stuff from your library and run to the next best thing. You want them to check their email and work for it a little. Also they can opt out if they don’t want to so go ahead and set up your double optin for this. It will save you from a lot of unsubscribes!! Okay so you see how you can fill out the form, it does ask for another image for the background image in the thank you section! Yes kinda a pain because the other background does stay there. Easier to do when it is mostly white! See the button in pink that says resource library you can add the URL to your resource library page and link it to the button to bring them right there. As long as they check their email they can login right away. Once all of the forms are filled out how you want them click done editing. This is what it will look like! This part is confusing and hard to explain, I was in the chat with my blog host to get it set up properly and I could have done it myself just afraid of messing it up. If you are like me that is an option for you. Here is a screen shot of what mine looks like set up. 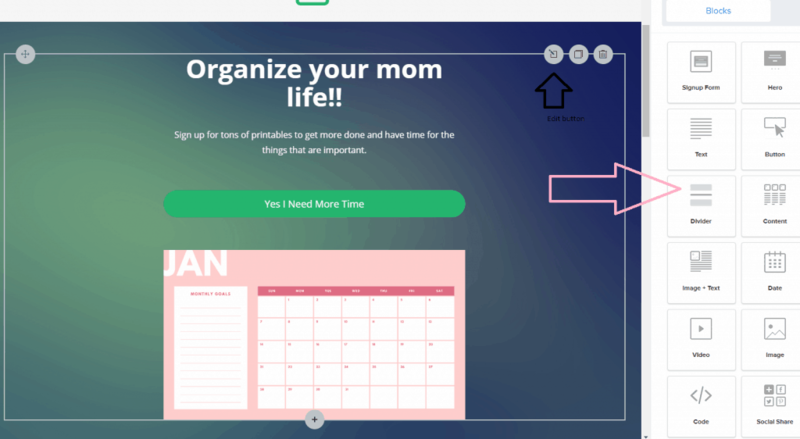 You can connect this as a homepage on your blog like mine is home.homemademoma.com for this you need to go to your hosting site under cpanel. You can name it whatever you want and then input it into the URL on Mailerlite page. Fill in what you want your page title to be, what meta keywords you want for seo and a description if you want. Now your landing page is connected and you can make a pin image and put it on Pinterest to direct people to your page or send it in an email to your subscribers! 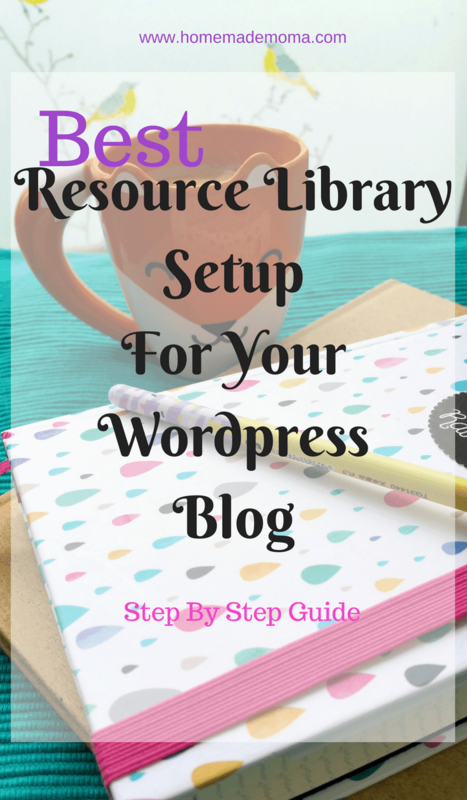 Hope you enjoyed this tutorial on setting up your resource library! If you have any questions leave a comment or email me, I am happy to help. I’m so glad that you found this post to be helpful! The png is your photo, go to add media and put in the photo of your product then go to google drive add your download and get the link for sharing. Go back to your png and add the link to the picture.